The internet is a wonderful world technology that is always changing and improving. This world has opened up to artists. However, with this opening comes many challenges as well. How do artists AND galleries distinguish themselves among all that’s available online? For this, bricks-and-mortar galleries will remain an important and relevant part of the marketing mix for artists. 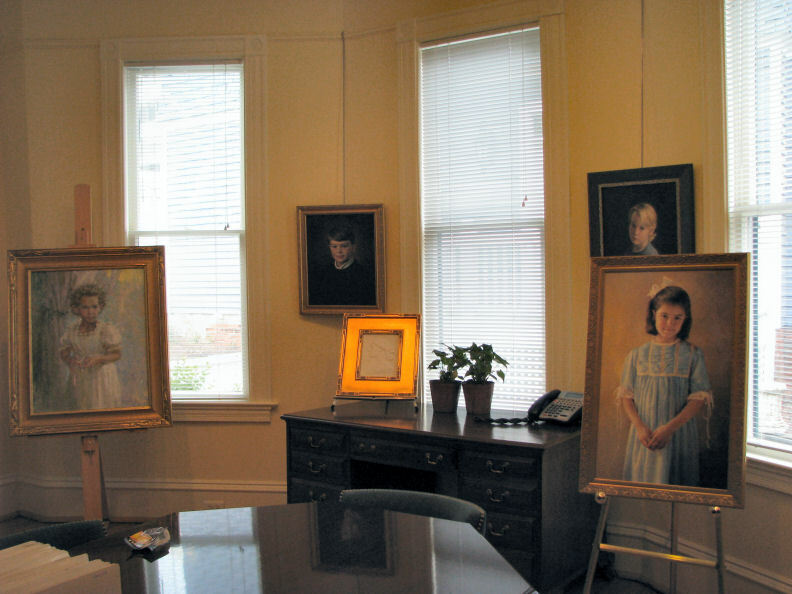 They help collectors, buyers, agents and people looking to commission a portrait with the sifting process. In addition, galleries provide an experience for patrons. The art business is a very personal one. The portrait business is even more personal, and it is one that NEEDS one-on-one interaction. Our clients become personal friends as well as repeat buyers. An honest, mutually rewarding relationship is a mixture of communications. Talking in person, phone calls, emails…etc. When looking at art, especially if you are looking to commission an artist, there is no substitute for seeing the work with your own eyes IN PERSON. We believe artists and galleries can and will continue to work together in mutually profitable relationships if we accept that the internet has changed everything, and we too must change. Change is good! Posted on February 18, 2011 . This entry was posted in Uncategorized and tagged marketing art, online gallery, portraiture. Bookmark this article. Copyright © 2011 Portrait Associates. All rights reserved. Website design by Art Wave, Inc.